The purchase of this golf villa for sale in Paphos - Cyprus will become a major investment move for those who seek permanent residence or carefree holiday home. 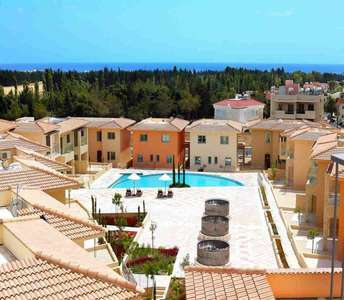 This Cyprus villa is under property category luxury properties in Paphos. 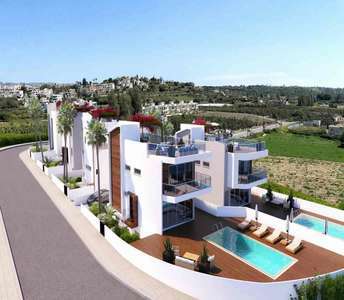 The houses for sale in Kato Paphos in the island of Cyprus will amaze you with its comfort, organization and functionality, together with its overwhelming views of the city and the green mountains surrounding the area. Prepare to be swept off your feet with this luxury villa which is for sale in Paphos (Cyprus). 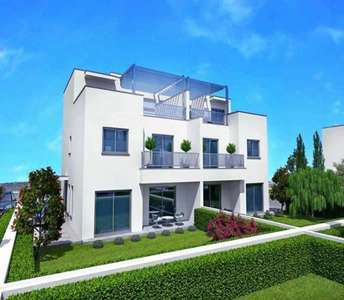 Built on an extensive 2820 sq.m. plot of land, this Cyprus golf property offers uninterrupted sea views. The villas for sale in Paphos offering comfort and luxury next to the sea, the seaside properties in Paphos welcome you and expect to become the ideal retreat even for the most demanding investors of real estate in Cyprus looking to buy a seaside property in Paphos for permanent residence or holiday home in Cyprus. 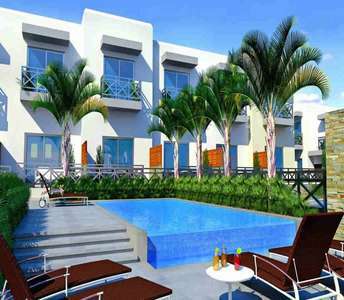 Adding to the numerous comforts of these properties in Paphos is the fact that it is still under construction. 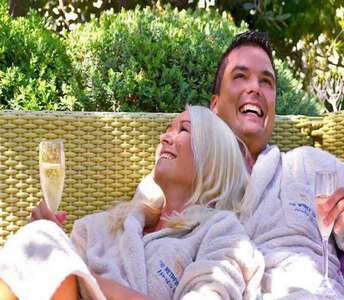 Thus you have the option to do whatever you want and give your own taste in order to become the Cyprus property of your dreams. To buy one of these excellent houses in Paphos would be to make a brilliant investment in real estate property on the exceptional island of Cyprus, which will prove to better in time. The properties in Paphos are in the city centre.